The star of latest Marvel's movie titled 'Deadpool', Ryan Reynolds not only has the passion in the world of acting. 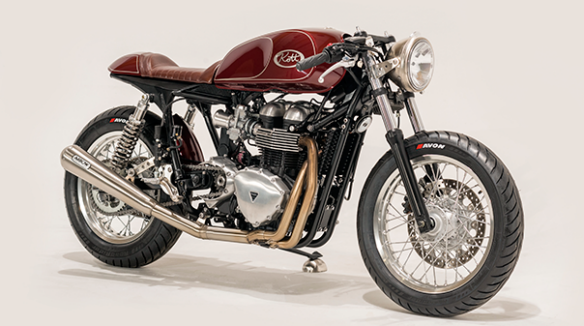 The Canadian actor also has a great passion on motorcycles, especially café racer style..
As quoted of Carscoops on Wednesday, February 24, 2016, he has been booked to the Los Angeles-based workshop named Kott Motorcycles to build a café racer styled motorcycle specifically for him with the based of one of the British famous motorcycle models, Triumph Thruxton. The bikes modification process for the Deadpool's movie star was recorded in a short film documentation. 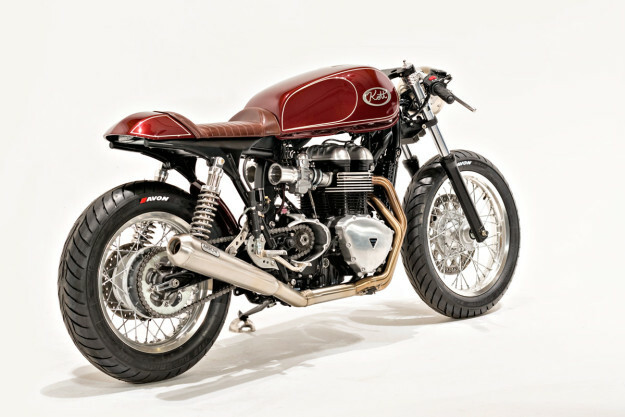 Dustin Kott of Kott Motorcycles said, that the café racer style has stolen Reynold's attention. "Café racer is a blend of harmony between comfort, usability, and reliability that not allow complicated parts exist in the motorbikes," said Dustin Kott. Some parts were removed or changed such as central airbox, fuel tank, rear seat, cowl, and mudguards. And then Kott Motorcycles logo is displayed on a new custom fuel tank. Other parts such as seats and upholstery also got a change. 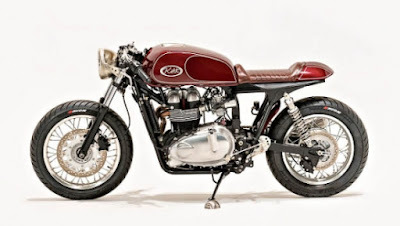 In the video shown, when Ryan Reynold seen the modification results of Triumph Thruxton Motorcycles made by Kott, he immediately smiled and laughed in delight. He immediately riding the dark-brown colored motorbike with a touch of café racer style. Reynold is explaining how riding can be a meditative experience when he says, "You can't do anything on a bike, except ride... and breathe." If only that were true of all forms of transportation.